Expect consistency, with us you get the same great coffee and service Everytime! You can order by phone, email or text. Our customers enjoy the direct line to the roaster. When you decide to make the switch to Java Rush Specialty Coffee you will get the direct phone number to the master roaster and Chief Operating Officer of the company. Occasionally the President (the Roasters wife) will answer the phone, but we keep it simple and the consistency of who you talk to matters. We roast our coffees daily and on demand. If you order coffee from us on Tuesday, the coffee for your order is roasted and shipped Wednesday morning. 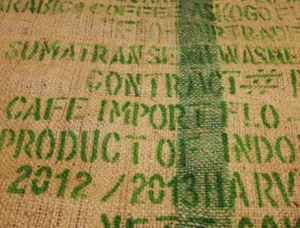 This means you get the highest quality coffee in the freshest state possible. Call today to order 1-800-277-2941. No Contracts, no nonsense, just the best wholesale coffee coupled with the best Customer Service. 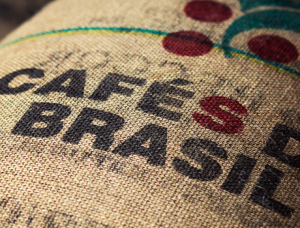 Brazilian Santos $6.25 per lb: This mild and smooth flavored coffee is named after Santos – the port through which all Brazil’s coffee passes. This bean provides a light bodied and smooth tasting brew. These beans are roasted in the Viennese Roast style, which produces beans that have a light sheen to them caused by a touch of sweat (oil) making it a bit stronger. This is also known as Cinnamon Roast. It is the second lightest of our roast styles. Colombian Supremo: This is an excellent, well-rounded and balanced gourmet coffee with no extreme qualities. 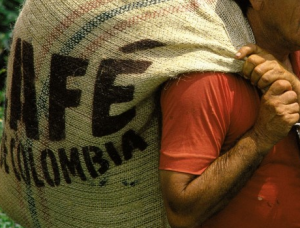 Colombian Supremo is a great coffee to begin your exploration of gourmet beans. The Supremo beans big and delicious. Its rich velvety body, clean acidity and hints of a delicate caramel are smoothing to the taste. Truly a good cup morning or evening. This one of a kind gourmet coffee is favored by many! 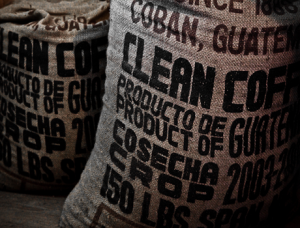 Guatemala Antigua: Antigua is Guatemala’s oldest and most famous coffee growing region. The towering volcanoes enclose this valley. Guatemala Antigua gourmet coffees are some of the most amazing fragrant and aromatic in the world. The natural shade and jungle of the Guatemalan highlands are the perfect environment for the bourbon botanical variety of arabica (a spontaneous variety of the original typical), which lends itself to a very nice and very natural full cup. This region is so loved and sought out by the gourmet coffee connoisseur. The Guatemala Antigua lends itself very well to a dark roast (Our roast masters favorite dark roasted bean). We encourage you to explore both the medium and dark roast. Both are very alluring coffees. Sumatra Mandheling: Sumatra Coffee captures the wild jungle essence of this tropical Indonesian Island. A great Sumatran is creamy, sweet, with a touch of butterscotch and spice. The cup is full-bodied, complex and earthy. 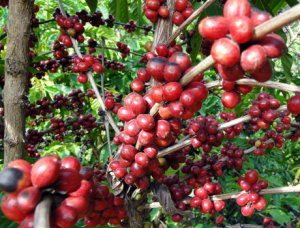 Many coffee enthusiast consider the Sumatra as the best coffee within Indonesia. This is certainly a coffee bean you will want to explore with all its unique flavors. Papua New Guinea: Go for a little adventure in this cup. Experience a funky wildness, like the island itself. This gourmet coffee has a bright and delicate acidity that will amaze any coffee lover. 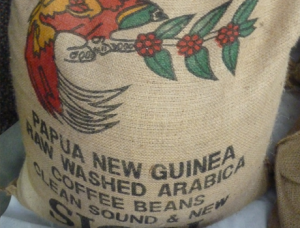 Papua New Guinea coffee cups a medium body while still being wild and bright. The coffee bean is noticeably large, but its smooth taste is wonderful to experience. 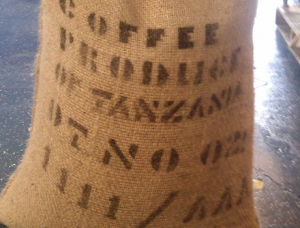 Tanzanian Peaberry: Tanzanian Coffee is grown on the slopes of Mount Kilimanjaro, truly an exotic location for this East African coffee. Peaberries seem to have a mystique about them.What’s a peaberry? It’s when a single coffee bean develops inside the cherry, instead of the familiar two “flat beans” . This gourmet coffee is bright, clean and aggressively complex! When brewed it presents many of the qualities coffee shops and enthusiasts desire, a rich and remarkable flavor that will keep you coming back for more. Costa Rican Tarrazu: Costa Rican coffees serve as an excellent bright single origin coffee. Tarrazu is the marquis region of Costa Rica noted for the best soils and highest altitudes. A Costa Rica coffee bean is defined by brightness, sweet, fruity nose, clean acidity, with a hint of toasted nuts. Another amazing feature of Costa Rican coffees is the human touch at the beneficios (mills) where the processing and milling of coffee approaches a level of artistry not easily surpassed. Besides immaculately clean mills, which are the standard, the efficiency and beauty of the inner workings of the mill are amazing. We have the ability to provide any coffee from any origin. Call 1-800-277-2941 for pricing. © Java Rush Specialty Coffee. All rights reserved.